When I first saw this product, I was at Emerge and See, visiting Alison Berkley and Amanda Friedman. I had been touring their spacious facility and when we came across their arts and crafts room, I spotted these chairs. I immediately went to touch it. 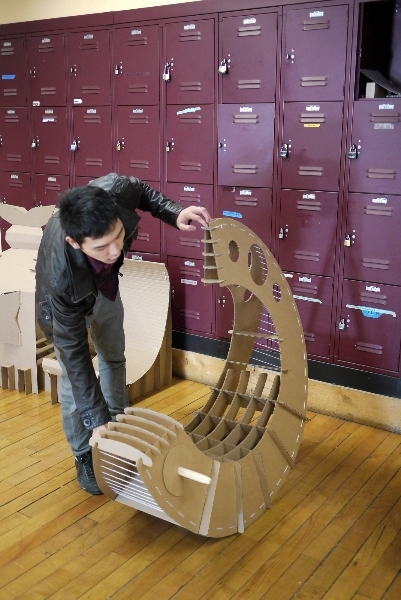 Wow, a cardboard chair? Alison told me that I could sit on it and I did and it didn't fall apart! That was incredible. I have to get this for Number 2! The size is great for preschoolers. I love how they get to see how it is put together and they can take it apart and really see how it works and supports weight. Within a month, the chair was at my doorstep and my kids were VERY VERY excited. My husband and Number 1 Son built it together because Number 1 has to build everything he can touch. This chair is made up of only four sturdy pieces- so simple! 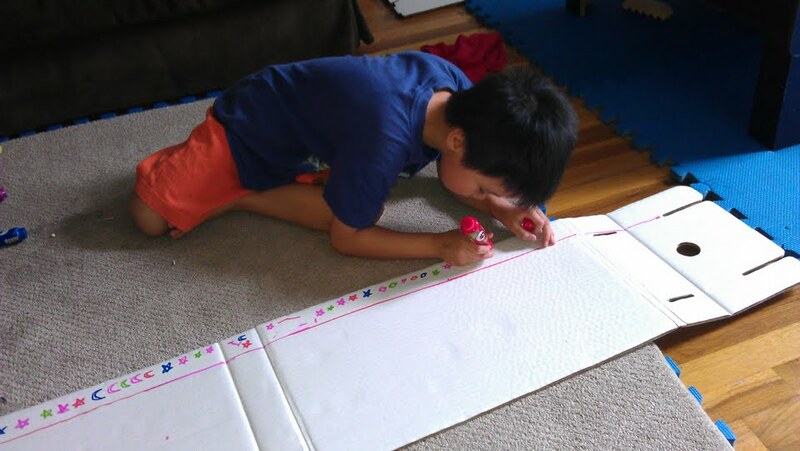 Directions were included, along with stickers and markers but we used our own. Additionally, both sides of the cardboard are completely blank and so you can decorate it twice. When they are excited, they are going to run those crayons and markers all over the place but obviously, in terms of design, it might not look very "planned out." Thus, it's so awesome you get a second chance! This is all good but I find this chair so much more useful than that, especially now that we are constantly teaching our children (and reminding ourselves) that we must protect our environment. Cardboard chairs? Our future? Well, why the heck not? This little chair actually holds up to 150 lbs. and still, it's biodegradable and foldable and the kids won't get in trouble for defacing it. On the second try, I drew lines and let them make a pattern. I figure patterns are prettier on furniture. Making patterns is less overwhelming too. I think that making the drawing surface double-sided is a really smart idea. But I also think that for our builder types- a.k.a. 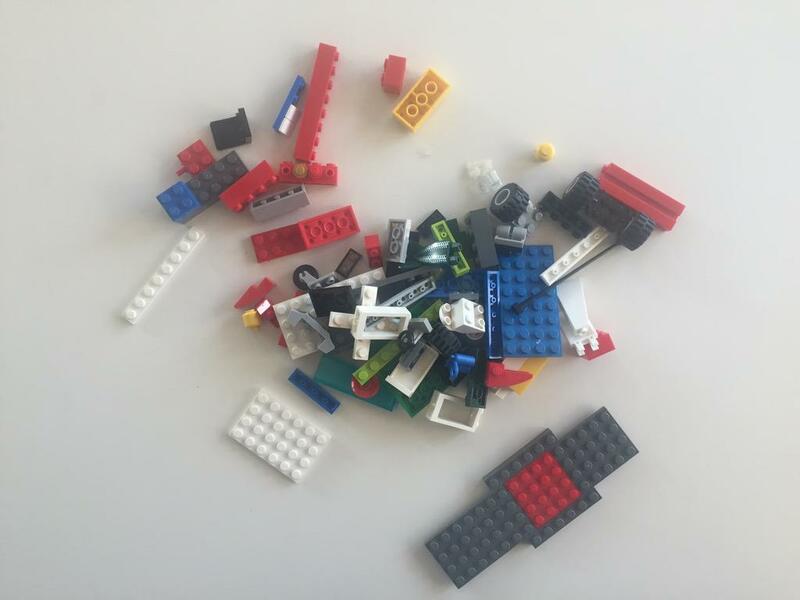 the Lego kids, this is one of those times when you can let them really explore the possibilities of design. 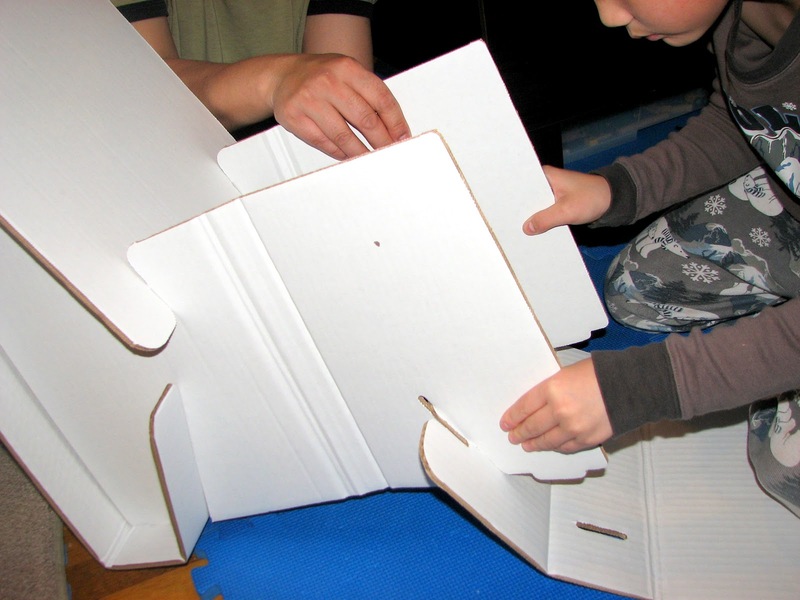 They fold origami around this age but did they know they can fold cardboard into furniture? The kids do so much with cardboard nowadays. Who didn't see Caine's Arcade? 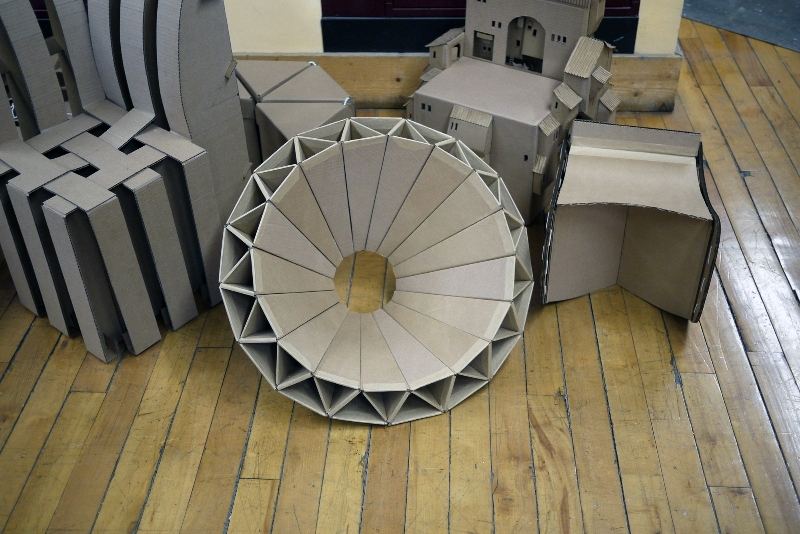 Cardboard as a medium is terrific for kids. Like the play dough in Squishy Circuits, it's just such a common material for kids. 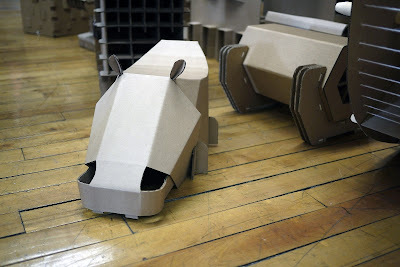 There is nothing intimidating about cardboard. 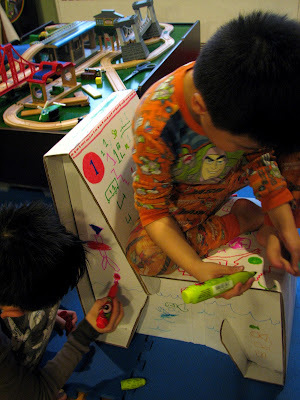 I challenged my son to build his own My Doodle Chair using the cardboard box from our Creativity for Kids solar system set. We measured our My Doodle Chair and tried to do some math to figure out the proportions and while we didn't quite get there, he did get to see how hard it was to create something that looks so simple. I explained that the inventor of this chair probably made this over and over and over again and now he made a chair that kids can build and decorate all by themselves! 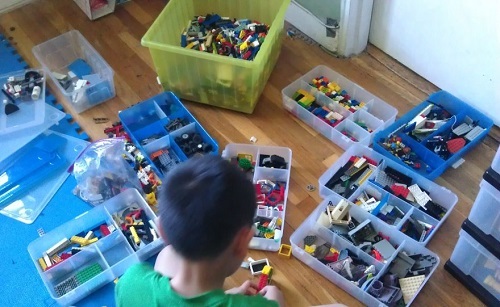 After we completed it, even though it was far from perfect, my son was pleased with himself. He learned a little bit about ratio and chair-building and even put a doll on top of his chair. 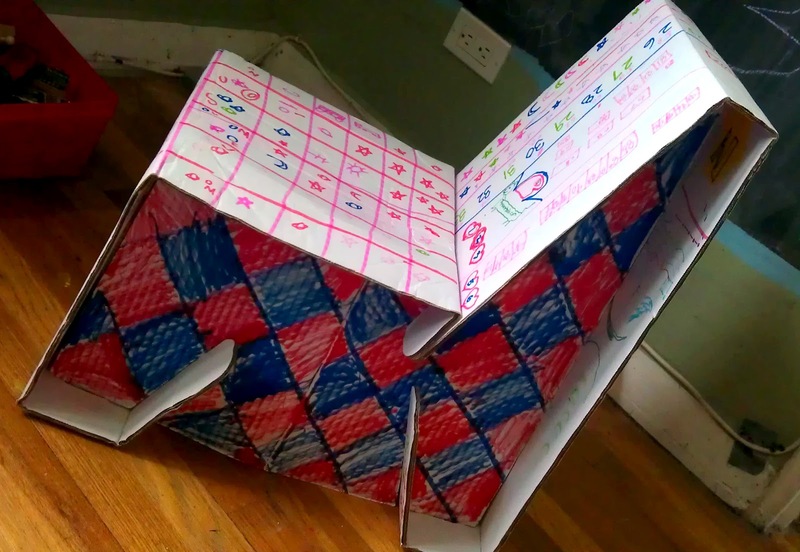 And then I realized that you could probably use cardboard to make doll-house furniture too. Boys and girls alike could build it themselves too. Cardboard has so many uses! Inspire from Real Life Samples- It's Only Cardboard, Right? 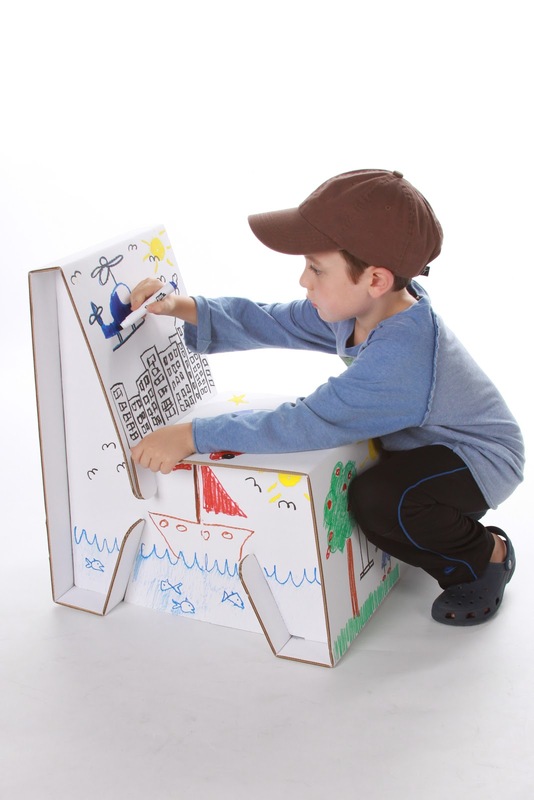 If you decide to buy this chair, don't forget to have your children check out this site after they make their own My Doodle Chair. They can see where continued chair-building could eventually lead, which I imagine is could be many many places. To the students, staff, and faculty at the Department of Industrial Design at Rhode Island School of Design, Thank you so much for sharing these photos with our readers!!!! They're unbelievable. Disclosure: Toys are Tools has not been compensated in any fashion by the manufacturer or retailer of any of the mentioned products in exchange for the publication of this post. 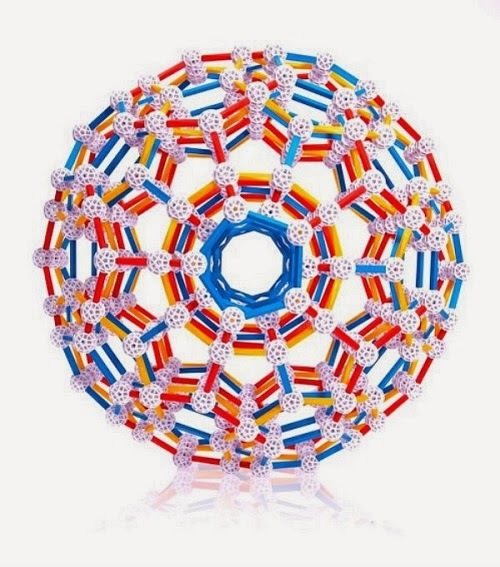 This product was submitted to Toys are Tools for the purposes of facilitating this review. Reviews are never promised. I have for sale a brand new child size Doodle Desk that is the perfect companion to this chair!!! Contact me at billietoy at gmail dot com.